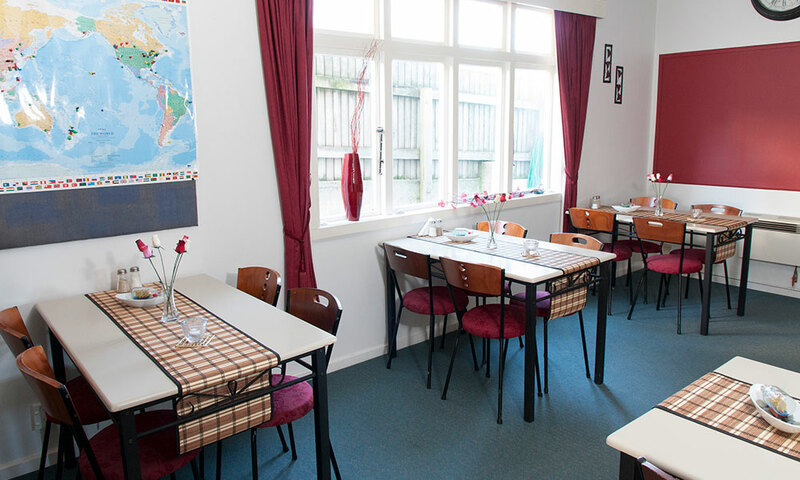 At Moana Lodge we pride ourselves on providing quality hostel accommodation including our on-site facilities. As part of providing this high level of accommodation, we ensure our facilities are kept immaculately clean and tidy, and operating fully. We aim to provide our guests a truly pleasurable stay, which is in part supported by our modern, fully equipped, self-catering facilities. 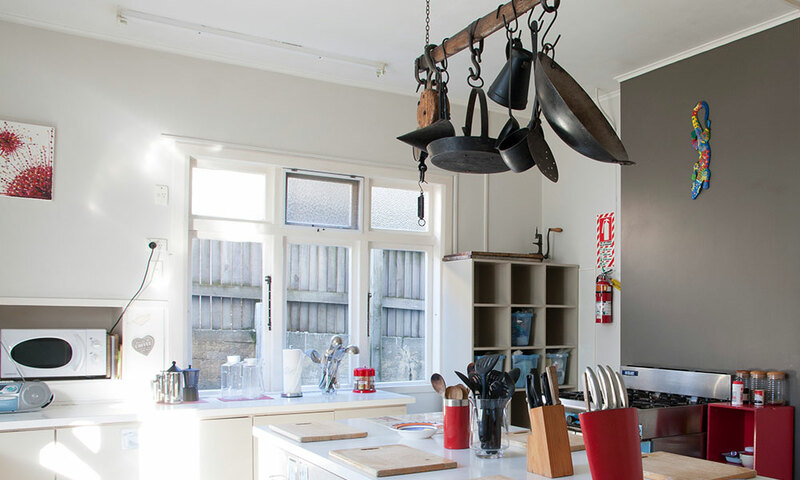 Being situated just 20 minutes north of Wellington City, our Wellington accommodation is perfectly situated for exploring the Wellington region. Ideal for self-catering. Includes commercial stove, dishwasher, microwave, large commercial fridge, plates, cutlery, and an extensive range of baking and meal preparation utensils. Free tea, coffee and sugar provided. With separate dining tables enabling families, groups, and couples to enjoy their own personal dining space. Our dining room includes a 48” flat screen TV for viewing anytime. 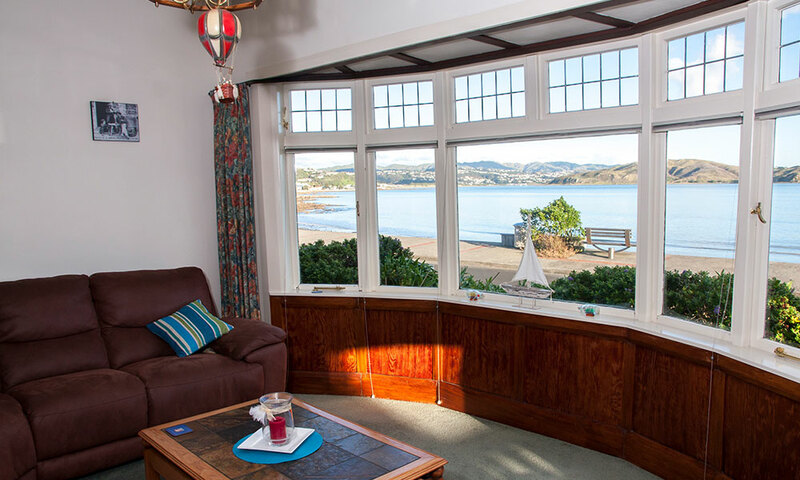 With stunning views overlooking Plimmerton Bay. Guests can sit and relax on one of our large comfy sofas, enjoy the views of the waves lapping or our take in a great sunset. 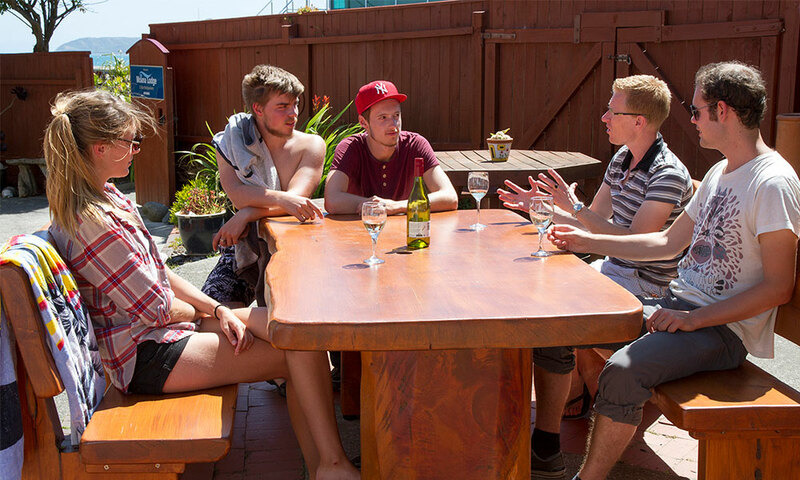 Ideal for relaxing and enjoying a glass of wine at the end of a fun filled day! Includes a set up BBQ for guests to also use. Includes 4 privately enclosed bathrooms (not ensuites), each with a private changing area, shower and wash basin; these are situated in close proximity to the rooms. 3 separate and fully enclosed toilets, plus 1 in a bathroom setting. Full laundry facilities – washing machines, dryers, outdoor clothes line. Free WiFi which can be accessed from all the rooms and communal areas. Our hostel is set up with fibre connection delivery fast speed. Plus an on-site computer, with free unlimited internet access, using Zenbu wireless. Free travellers information area, which includes a range of brochures and materials of local events and activities. Also includes a working desk area. Free board games and books. Free on street parking near to the hostel. Only Visa and MasterCard accepted.